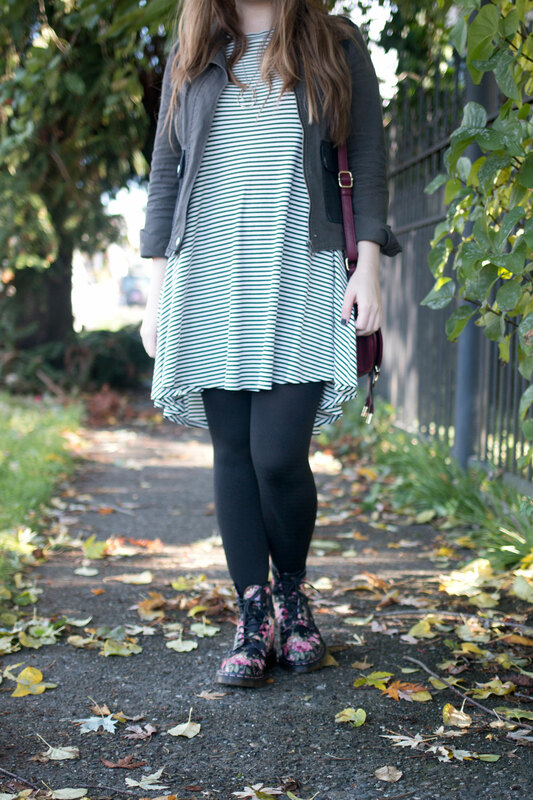 Are you a fan of combat boots? I’ve always liked the look, but never thought I could pull it off. 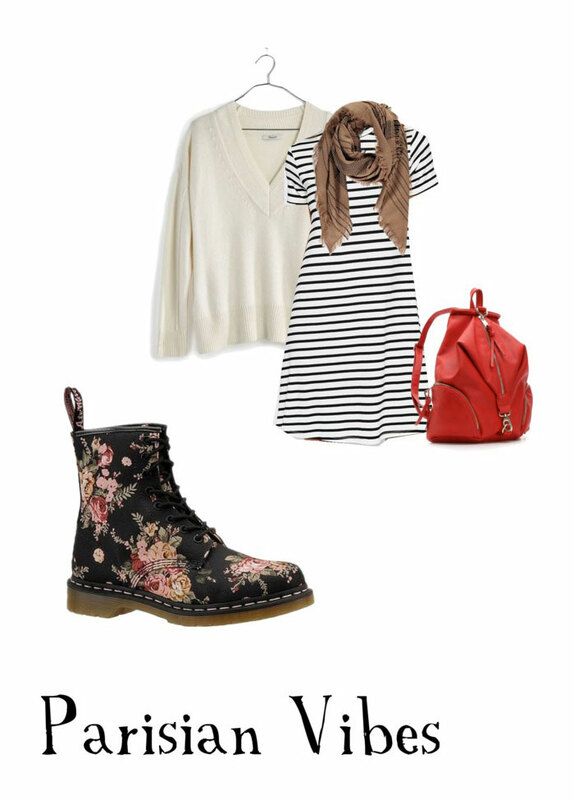 I’m still not 100% sure that I can, but I’ve been lusting after a particular floral pair of Dr. Martens 1460 boots, and since 90s fashion has returned, is there a better time to add them to my closet?! Before adding an epic piece like that to my wardrobe, I like to think of at least a few different ways I’d style them. I usually have at least one outfit in mind right away, but I force myself now to make at least 3, if not 4 or 5, just with pieces I already own. Previously I would find myself wanting to buy new things to wear with another new thing. Sounds silly, right? Because it was! If you’re buying something (especially something somewhat spendy like boots) you really should have outfits already in your closet to wear with it, otherwise your new purchase will probably collect dust. I have a lot of these that I get rid of in between seasons, and it’s such a waste. Today I thought I’d take you through my “creative process” of what happens in my brain when I’m considering adding something new to my closet. I’ll be following these outfit ideas up with the real thing over the next couple of months. If I’m going to add something to my closet that’s out of my usual, then I definitely need to be sure it’s going to get worn! This first outfit is comprised of recent purchases and a few past ones. I couldn’t find the identical items that I own, but you may recognize the striped dress as being reminiscent of the one I got from Golden Tote. I’ve also owned a similar cream sweater for awhile and figured it’d be a nice way to transition a sleeveless dress to fall and winter. I picked up this Crown Vintage Nappa Backpack recently from DSW on mega sale because it reminds me so much of the Rebecca Minkoff Julian Backpack that was just too much of a splurge. And while I don’t own this exact scarf, a trusty blanket scarf will work! See the full outfit post here for how I wore it in real life! This is kind of that “basic girl” look. I know, I hate the word basic too, but it’s unfortunately entered my vernacular, and it just won’t stop. Sigh. Anyways… back to the outfit. I love this outfit and have worn something almost identical… and will do so again this year. Denim jeggings, a plaid button up, a grandpa cardigan… it’s my fall uniform. 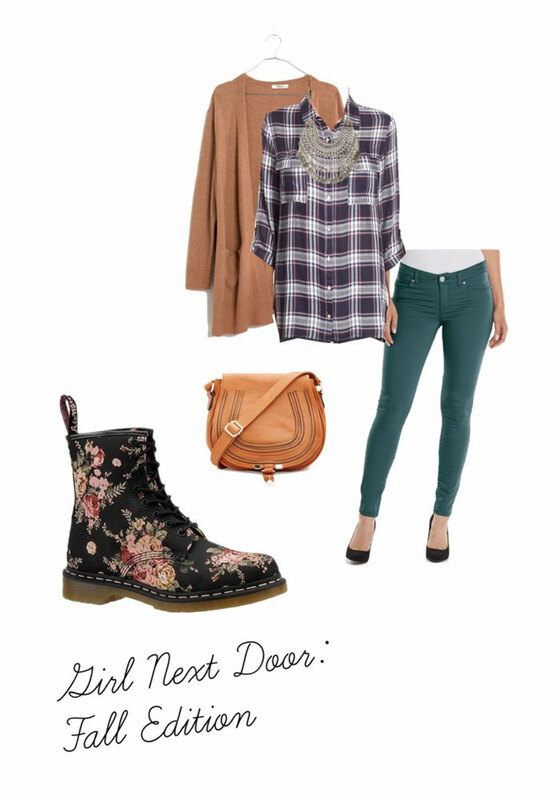 Add in the combat boots, a statement necklace, and a stylish bag and you’re golden. I’m a creature of comfort.To me, comfort is skinny jeans and a button up that is loose but not dumpy. To me, that’s a good chambray, and the one I love is from Old Navy. I don’t own a pair of distressed black skinnies, but I want to, so I’m thinking about ripping up my black Jeggings that are getting faded from many washes. Bad idea? I have no idea. I’ll be accessorizing this outfit with my favorite animal scarf from H&M (find a similar one here), some simple bracelets, and a classic black crossbody from Gigi New York. This was the first outfit that came to mind when I was thinking about these boots. I lived in some variation of this outfit when I first fell in love with Dr. Martens when I was a broke college student. I honestly can’t believe that was more than five years ago, but luckily I still think I can pull this one off. I’m taking a black skater skirt, a black t-shirt, and layering some inexpensive necklaces. I plan to top it off with a girly moto jacket in a taupe or blush color. I’ll finish the look with a pop of color in the form of this Kate Spade Cedar Street crossbody and fun tights. 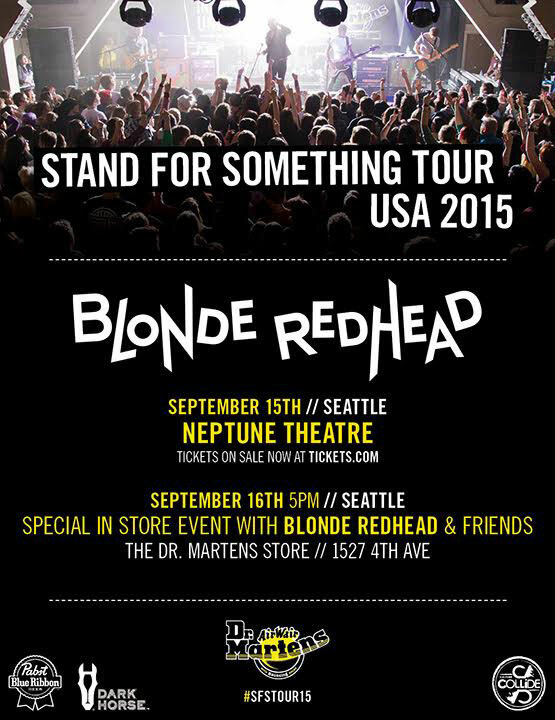 Join me in hanging out at Dr. Martens Seattle TOMORROW, Wednesday, September 16th at 5pm. Drinks will be provided by Pabst Blue Ribbon and Dark Horse Wine, and they’ll be special DJ set by Blonde Redhead and special guests! Haven’t been to Dr. Martens in Seattle? It’s located at 1527 4th Avenue. This event is free with RSVP, which you can do here! Will I see you tomorrow night at the Dr. Martens x Blonde Redhead event? (I’d love to see you!) 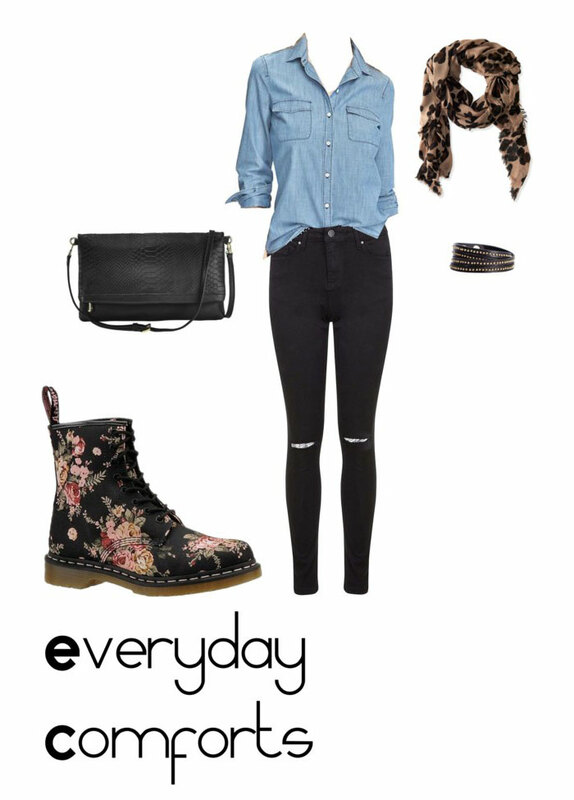 How do you like to style combat boots? I love all of these options. I have a pair of brown combat boots with flannel lining and I love them. Those floral ones would also be darling! I love the ones that have flannel lining, they look so cozy! Thanks Rebekah! OMG those boots are sooo cute! I’m in love! I know right? Thanks Bethany! I love these outfits! I live in my combat boots all fall! Those boots are way cute! Love the styling options! I love the first look!! It’s so beautiful and casual! Perfect for fall!!! I am so awful with fashion but you’ve put some really cute outfits together! Love the boots..so cute! I didn’t used to like combat boots, they kind of grew on me! Wish I could’ve made the event tonight…need to move over to that side! Oh my gosh, I love that you chose floral ones instead of plain black ones! These boots are to die for and your style is always on point. 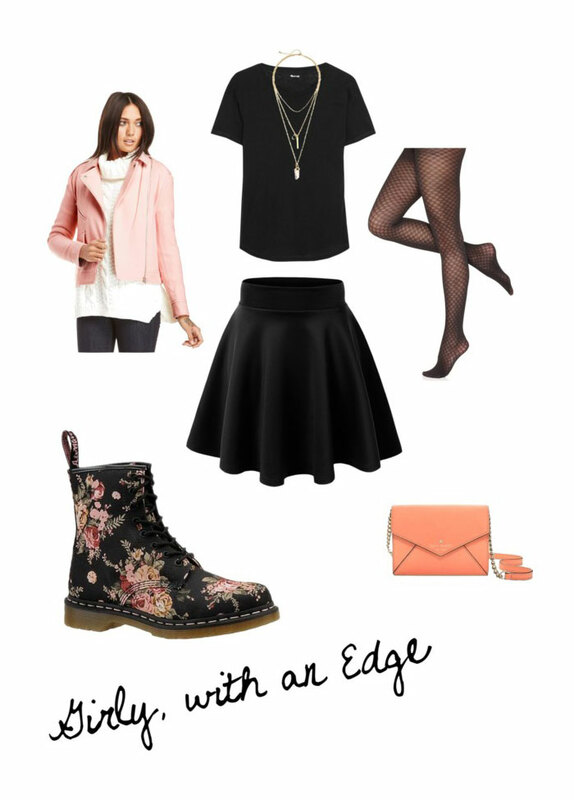 love the girly with an edge outfit you put together; I can totally see you working that! Love this! I have been dying for a pair of combat booties but wasn’t sure how they would look day-to-day. You make them look amazing!!! I definitely need some now!